Anybody else do a mud run and try to stay clean the whole time?? 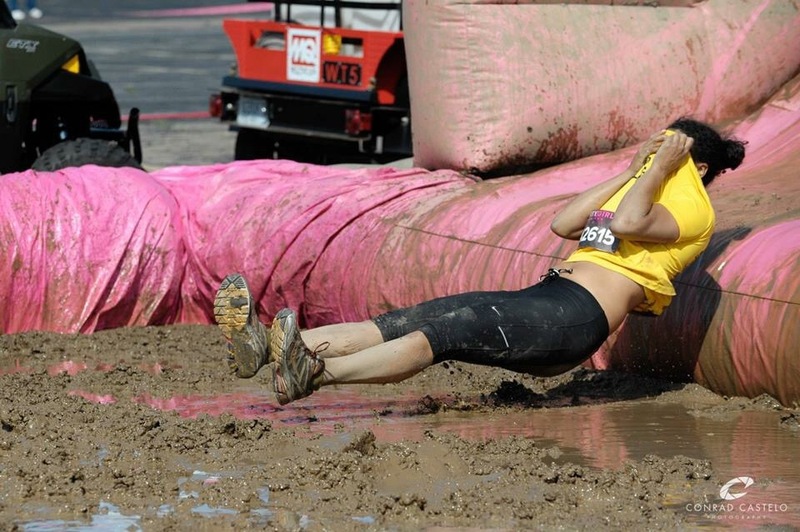 The Dirty Girl Mud Run in Schaumburg, IL made sure I didn’t succeed at that!! Event #21 knocked off the list! I’ve been so busy lately I haven’t been posting nearly as much as I would like. I mentioned at the beginning of there year that I committed to celebrating another year of life by maximizing the fun around me and signing up for 35 awesome events/moments/memories/challenges! I haven’t posted a few of them so here goes! 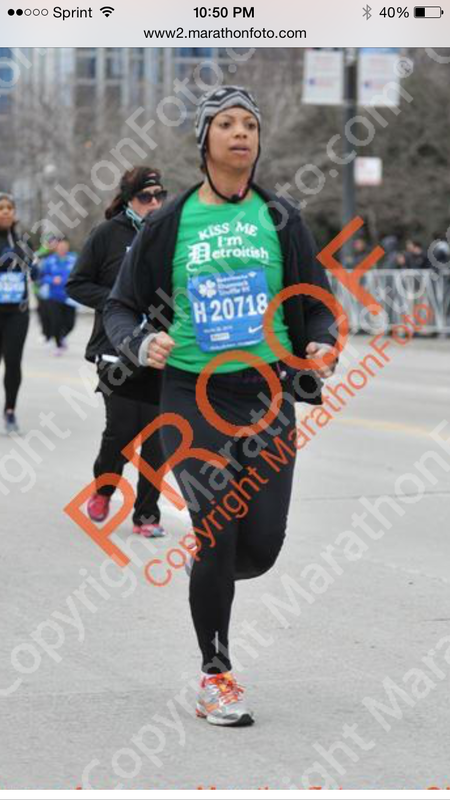 I ran-walked the Shamrock Shuffle and come in slightly faster than my last (and first) 8K back in December! 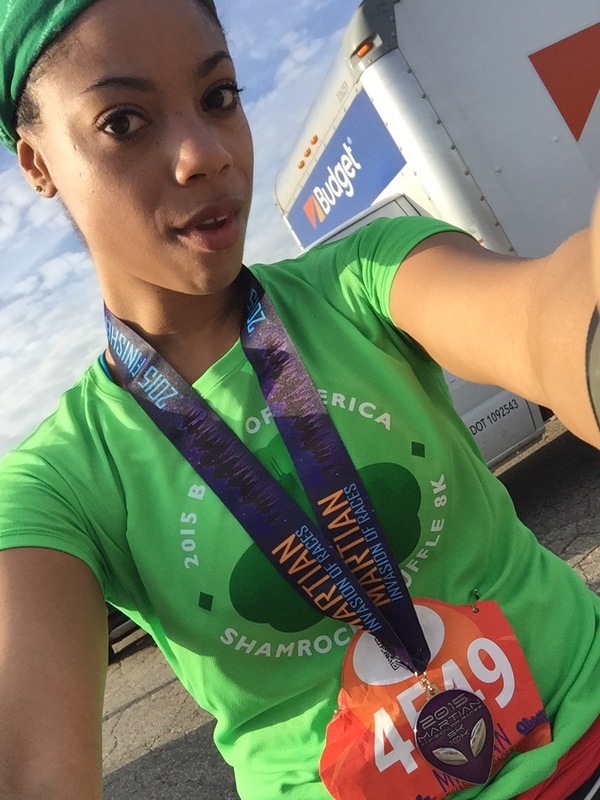 Then I went back to my hometown (Detroit) and ran the Martian Invasion of Races 5K. My fastest 5K time yet! 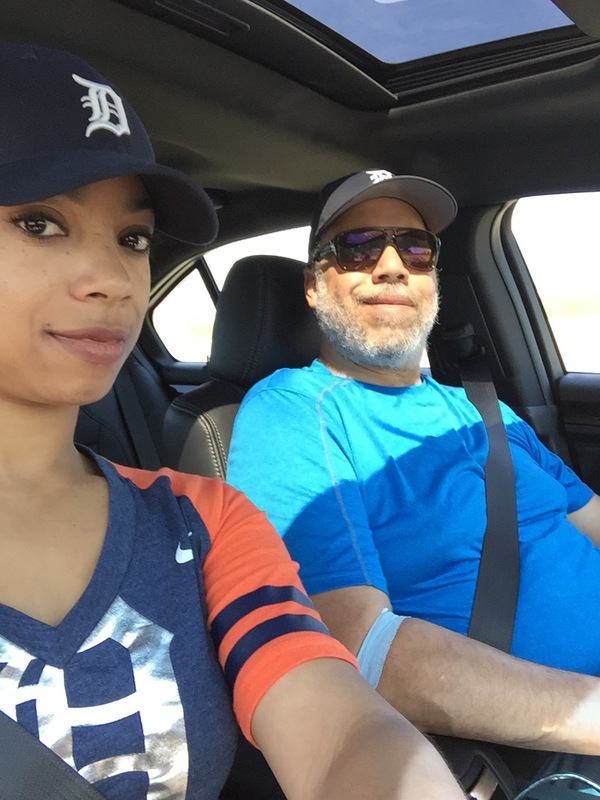 After the Martian race I showered up and went to a Tigers game with my favorite fan – my dad! 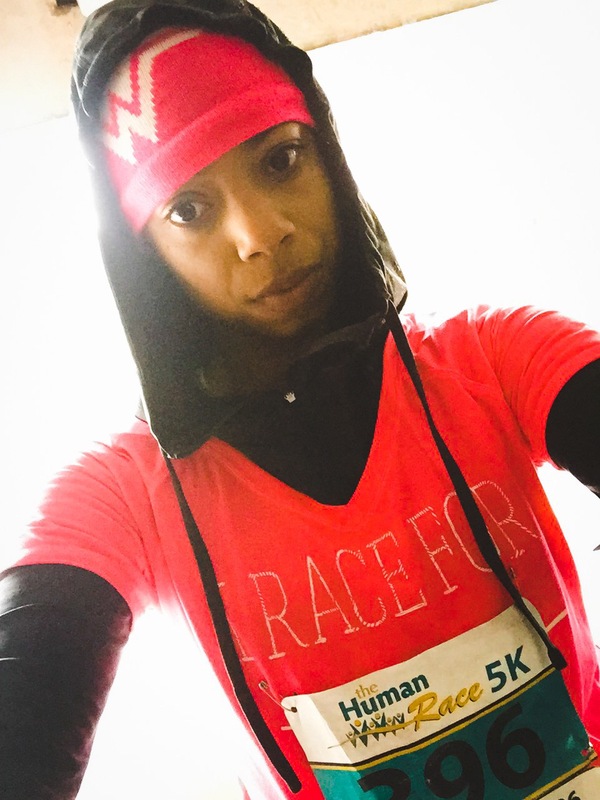 A week later I ran the DuPage County Human Race, my worst 5K time yet. It was cold, windy and rained the whole time. Talk about miserable!! There are MANY more events to come, and I will be sure to share! If you have any ideas for free/low-cost experiences, especially in the Chicago area, please let me know! I’m determined to get to 35, but these activity fees are adding up!! Topped it all off with the first red t-shirt I found (keep it festive/match the bib) and some RMHC socks! The race was tough. 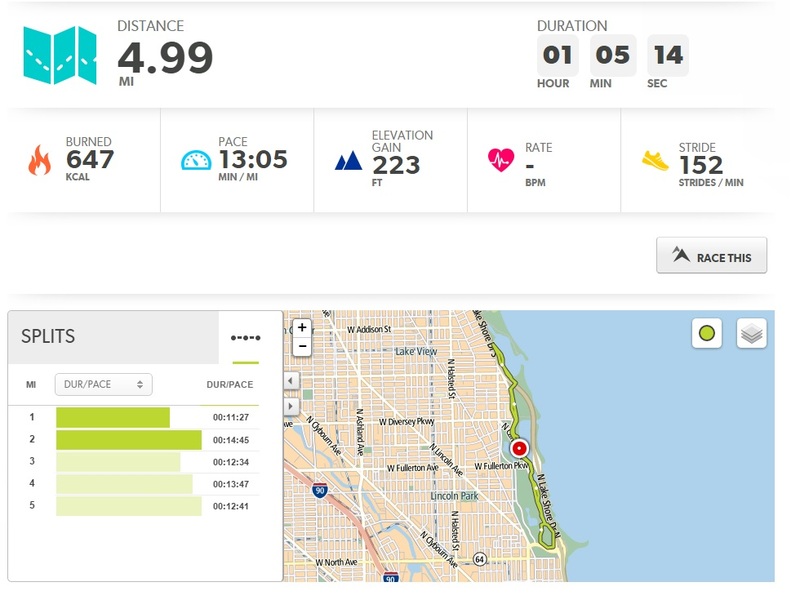 Its the furthest distance I’ve ever attempted to run. I kept ended up with a run-walk pace that was all over the place for the first two miles (leaving me burned out by mile 2. My friends recommended I start with a 3:2 (3 min run, 2 min walk) alternating pace, but I thought that seemed too easy, so I set my shiny new TomTom Runner for a 6:2 interval. Boy was I wrong. That did not go so well. I spent the final 3 miles doing the math in my head to convert my 6:2 setting to a 3:1 setting, which I also found pretty difficult to maintain. At the finish line my coworkers were waiting and cheering. Considering I had just started running less than 2 months prior, I didn’t care about being ranked 1,031 out of 1,113… I was more than satisfied with the simple accomplishment of actually finishing it! Today marked the first day of a year in which I have committed to celebrate my birthday with 35 (yes, THIRTY-FIVE) events in one year. The only rule is that at least HALF of them must be competitive athletic events! 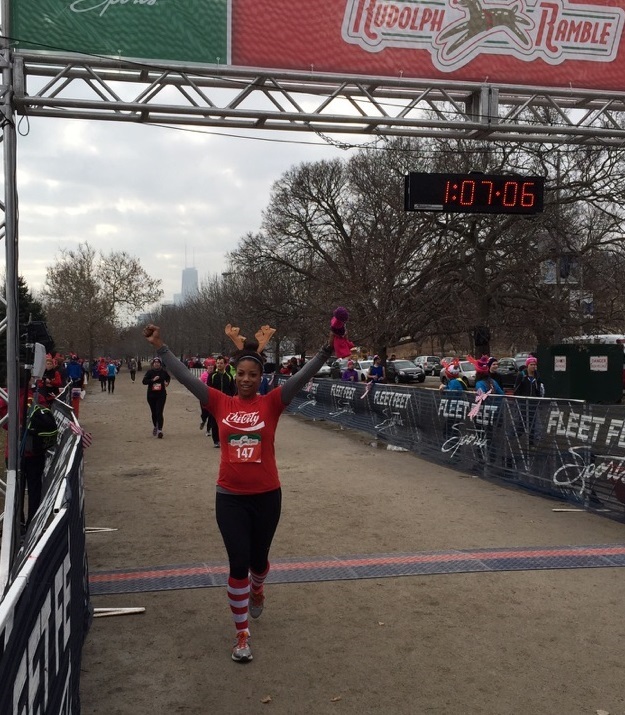 I started with event #1, the Chicago Hot Chocolate 5K race. Last year I signed up, just for the shirt and the goodies, and walked it. This year I was determined to run it. 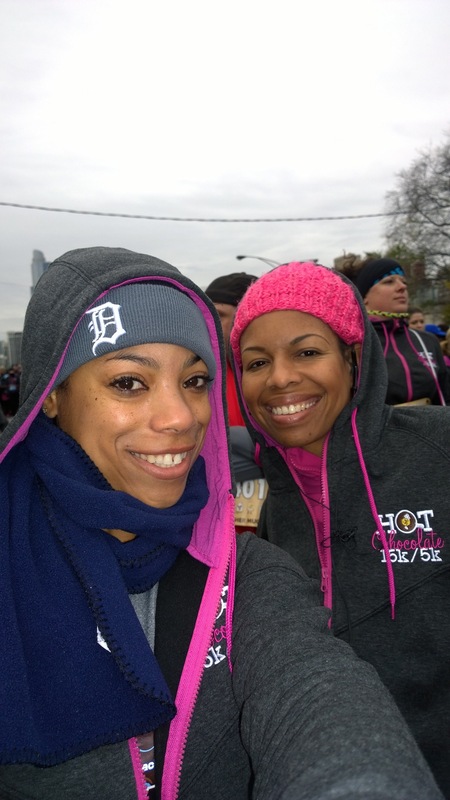 My awesome friend and soror Mikyra, who had just come off the Chicago marathon a month prior, agreed to help me pace it to finish in under 40 minutes… And we did it!! This will be a fun year, with my actually birthday falling somewhere in the middle of it all, and with the fun ending with the 2015 Hot Chocolate 15K!! Stick around for the updates and feel free to suggest any fun (and reasonably priced) events such as rices, bicycle events or alternative sports that would be worth a try this year! !